Shukan Ascii confirmed with the Ginza Apple Store that the US, Canadian, New Zealand, and Australian unlocked versions of the iPhone 4S cannot be repaired in Japan due to internal hardware differences. The report also includes the Chinese iPhone 4S, but I didn't even realize that you could buy real iPhones in China (and apparently neither does google's first page of results, which only contains references to fake iPhones). According to the article, iPhone 4Ss from other countries can be serviced here, though they only confirmed support for the Korean and Hong Kong (traditionally the cheapest source for unlocked iPhones) versions. There is no mention of what, exactly, is differently, only that HK and SK are part of the same regional product series. Update: confirmed at a Docomo shop that a FOMA contract can indeed be converted to a Xi plan, but beware that if you go back to FOMA, you'll pay more for the monthly base fee because the phone is now an "old" phone starting service - it won't be eligible for the "value" plan for "new" phones, only the "basic" plan. A Shukan Ascii article has a detailed description [J] on using an iPhone 4S on Docomo now that Xi micro SIMs are available. Keep in mind that this should work for any phone that supports UMTS-2100, Docomo's primary band. Previously this was prohibitively expensive because Docomo would automatically levy a tethering charge on all unlocked phones that use 3G "FOMA" service (except the SBM 008Z). However, tethering is ostensibly allowed on Docomo's 3.9G "Xi" LTE because data usage is capped. 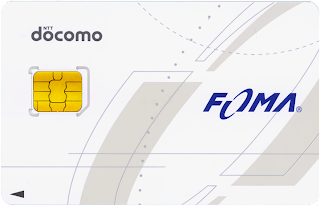 A non-LTE phone with a Xi SIM card will connect to the FOMA network, so we now have a reasonable option for non-Docomo branded smartphones. See here and here for a more detailed explanation. Compared to AU and SBM, this will be more expensive. With a 2-year contract, the standard voice plan is ¥780, but this includes no talk time. 24 hour free calls to Docomo subscribers costs an additional ¥700. 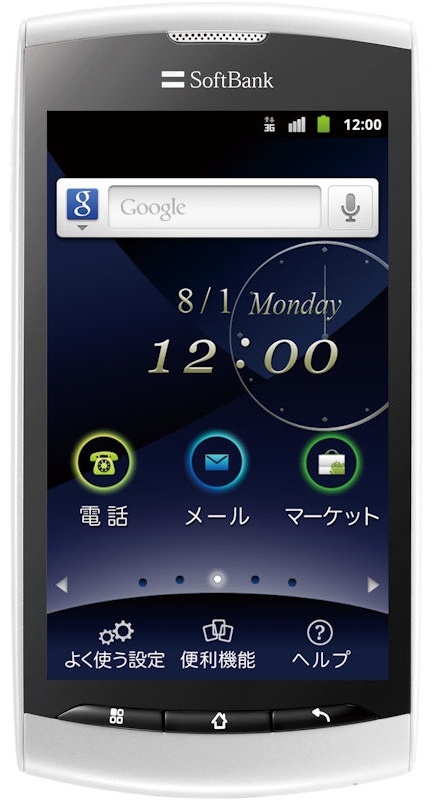 Currently, data is cheap, only ¥4,410, but from 5/1/2012, this will increase to ¥5,985. Currently, exceeding 7GB apparently results in a speed reduction to 128 kbps, though has been a point of confusion. From 10/2012, there will be an option to purchase an additional 2GB for ¥2,625. Actually getting in and out with the SIM could be a hassle, depending on the quality of the staff you speak to. Next, because Docomo decided to invent names for it's SIM cards, make sure you have your terminology correct. The Xi SIM cards are RED (see image at top) and called ドコモUIMカード AX04 (Docomo UIM Card) for the full size SIM, and ドコモminiUIMカード AX04m for the microSIM. The staff may be confused as to why you want to use get Xi service when you don't have an LTE phone. Some may even try and tell you that it would be cheaper to get FOMA service. Be firm and patient and insist on Xi. If you're not making any progress, leave, go to another store, and try again. Whatever you do, don't get a WHITE SIM CARD! The mythical Docomo list of approved non-tethering phones exists! And it is very, very short, starting and ending with the SoftBank 008Z. The 008Z is the only phone that SBM currently will unlock. As I've been expecting, the only phones that Docomo isn't going to hit with a FOMA tethering fee are going to be limited to handsets unlocked by other domestic carriers. I ran across this while researching a post (briefly outlined on g+), the gist of which is avoiding FOMA tethering fees by using a Xi SIM. This is explaining that handsets which have been confirmed to lack tethering functionality will be charged the standard smartphone rate without a tethering fee. It goes on to further specify that the first 8 digits of the "serial number" must be 35732604. This is interesting. In this case, is serial number referring to IMEI? If so, did Docomo already register the IMEIs of the SBM 008Z phones in its database, thereby allowing connection to the biz houdai APN (which is IMEI restricted)? EDIT: Actually, I think the Xi SIM cards are what the ドコモUIMカード is referring to. I finally got around to updating the old template for this blog. Let me know if anything is out of whack or CSS needs to be changed. I also created a google + page. Once multiple admins are allowed, I'd hope to be able to use it as a starting place for longer discussions. At least that what I'm thinking, but I'm not quite sure exactly how to use g+ pages yet. For example, it would be a great way to field questions as opposed to email, but I understand that notifications aren't automatic - so I wouldn't immediately know if someone asked something. Anyways, if interested, click the "badge" to see the page (nothing there to see yet, though). In September, only 8,700 phone numbers were ported (MNP) to AU from other Japanese carriers. That number grew significantly in October, mainly at the expense of Docomo, who lost 74,000 customers via MNP last month - nearly the exact number AU gained through MNP. Because of the Nikkei's stupid paywall and broken registration system, I can't read the rest of the article. So I am not 100% sure if these numbers reflect net change, taking into account both incoming and outgoing customers. Thanks to a little birdy, I confirmed that these are net MNP numbers. The number of customers moving to Softbank decreased in October, but when adding in new contracts, Softbank added the largest number of customers last month. 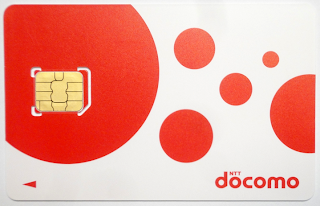 Docomo is always on the losing end of MNP and likely saw this coming. Last month they announced a similarly structured Xi (LTE) voice plan as AU and SBM, plus slightly reduced fees for FOMA (3G) data and tethering, the later of which is the main obstacle for using any unlocked handset with Docomo. Given Docomo's push towards LTE and away from unlimited data plans, I don't expect to see any more changes to the FOMA pricing.